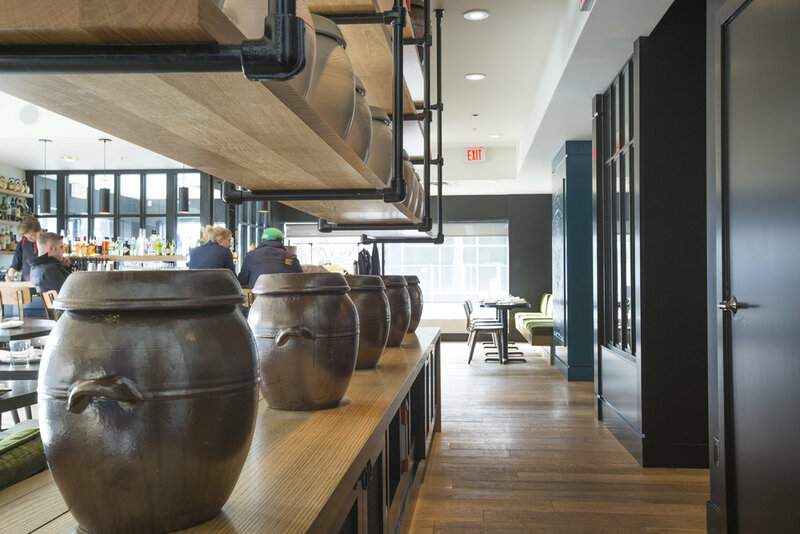 When it comes to restaurants, everyone is a critic and that’s why Concorde Group didn’t mess around when it came to deciding on a construction partner for their latest ventures. MacLeod Builders was contracted for the extensive lounge and restaurant renovation. All new interior finishes including architectural millwork, non­‐structural framing, fire caulking, mechanical service, repairs, metalworks, embossed paneling, upholstery, partitions, stainless steel fabrication, electrical and life safety upgrades. To maximize the restaurants year-round appeal, construction of exterior patio was also completed. The result? A regularly packed dining room in the heart of Calgary’s entertainment district.